Welcome to Malitbog ! . . . . . . .A place to come home to ! This is every Malitboganon's home on the net ! . . . Where we can converge, sit back and relish fond memories of our home town. Malitbog is a place of breathtaking natural beauty. . . Where its splendour lies on the smiles of its people. It is an inner beauty called the Malitbog "spirit" that makes this place so special ! Come and browse through the photograph collection dating as early as the 1920's to the present. . . A time capsule of the Malitbog way of life then and now. Tarnished may be with time but evident of a glorious past , truly grand as it was ! Please do not forget to check-out the FACES & PLACES section ! . . . .a page featuring a familiar face or place . . . We may have aged with time, but the smiles are just the same ! The Malitbog Chat Room is such a hit ! Lately, it has been the place to yap and chat 'til we drop . . . A meeting place for old and new friends alike ! Whether you're a resident, a friend of one or just passing-by, "Malitbog on the net" is just worth the trip ! 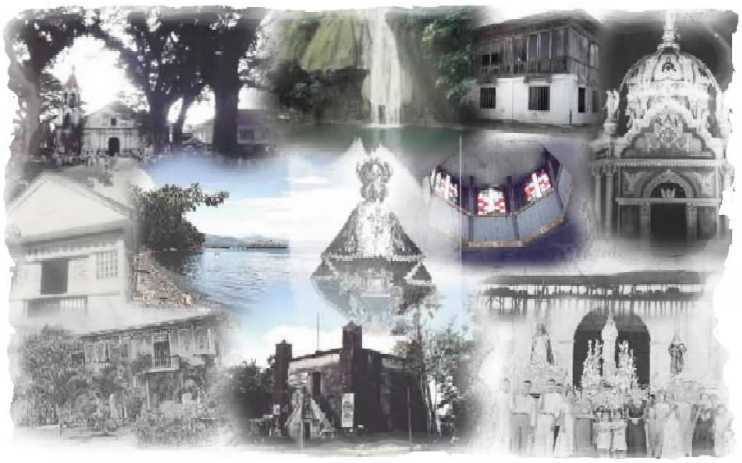 Here, you will find our town's history and valuable information about the Municipality, the Santo Nino Parish, SNA and the West Coast based MUSA (Malitbog-USA), an association of Malitboganons in America ! Once again, welcome ! And make yourself at home !